Of all the Carson City Morgan dollar issues, the 1884-CC is one of the most common. This issue was considered a huge rarity before the GSA sales of the late 1970's and early 1980's. 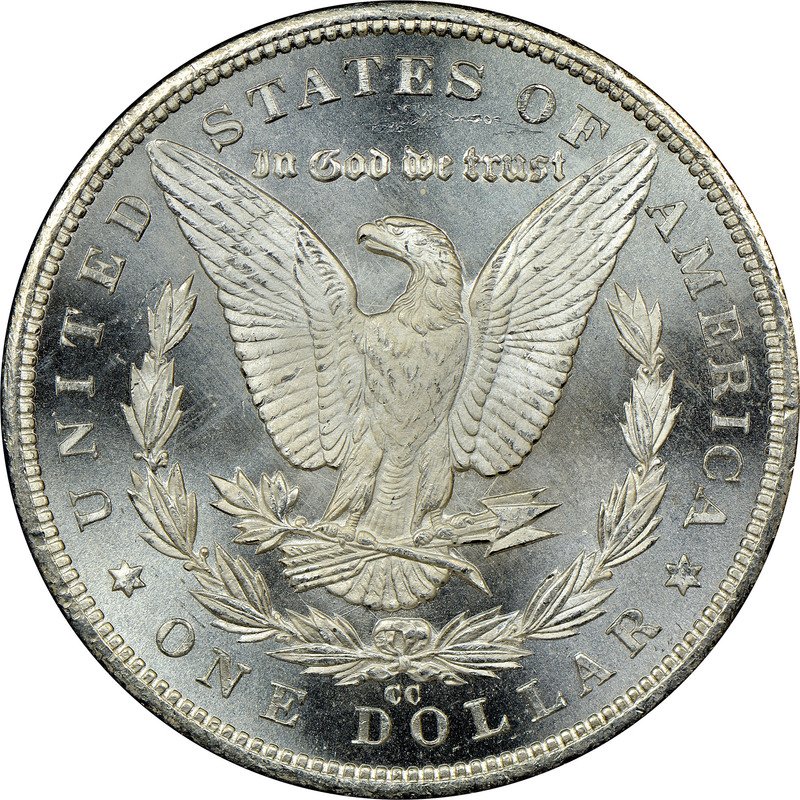 This makes sense, considering that the GSA had 962 original bags of this date, totaling some 962,000 coins, or over 84% of the original mintage! 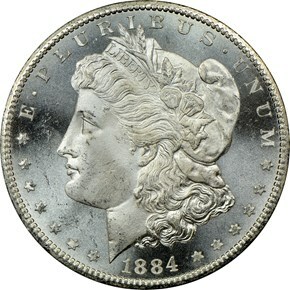 These releases have made the 1884-CC Morgan very easy to locate in mint state through MS65. The population thins out greatly in higher grades, however.